In response to the Postal Accountability and Enhancement Act of 2006, the Postal Service designed a program to detect mailers who were not following U.S. Government export laws and regulations. The Postal Service monitors outbound international mailpieces to ensure compliance with U.S. Government export laws and regulations. Postal Service International Service Centers (ISC) distribute and dispatch international mail to foreign countries. To assist in the enforcement of the export laws and regulations, the Postal Service and U.S. Postal Inspection Service use electronically generated customs declaration information to identify potential violations and determine whether a mailpiece should be entered into the mailstream or returned to sender. 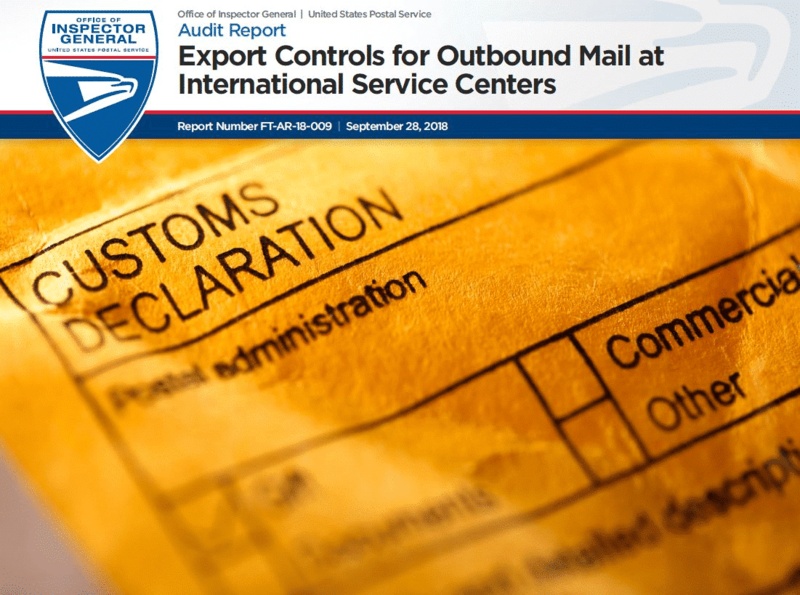 Our objective was to determine whether the export controls monitoring program mailpiece screening controls at the ISCs were adequate, effective, and followed to ensure international mailpieces mailed and destined for foreign countries are compliant with applicable regulations. Have a formal strategic plan or current risk assessment for the program. Conduct a cost-benefit analysis on the overall program. Have a documented process for proactively monitoring emerging issues, or analyze export compliance data. As a result, the Postal Service is at increased risk of non-compliance with export regulations. The Committee of Sponsoring Organizations states organizational structure and reporting lines are necessary to carry out oversight responsibilities. Reporting lines and communication channels must be clear to enable accountability over operating units and functional areas. Further, although the aggregation of risks along one dimension may indicate no issues, the view along a different dimension may show other vulnerabilities. Ownership enables multidimensional review and analysis. The Postal Service’s Export Controls Program screening procedures did not address all the requirements of the Export Administration Regulations. Specifically, we found 88 instances between October 2017 and May 2018 where two or more mailpieces were [redacted]. Analysts passed five mailpieces when [redacted]. Analysts passed seven mailpieces to enter the mailstream when [redacted]. Analysts did not document reasons why mailpieces did not violate export control requirements in 29 of 172 electronic screened decisions reviewed. For example, [redacted]. Analysts did not maintain electronic screening comments in the mailpiece record for 26 of 34 randomly selected physical screened decisions from April 8 through May 22, 2018, we reviewed. Analysts used acronyms to document comments made in the mailpiece record but they were not standard across all ISCs. These issues occurred because the standard operating procedures were not specific or did not clearly address these items. 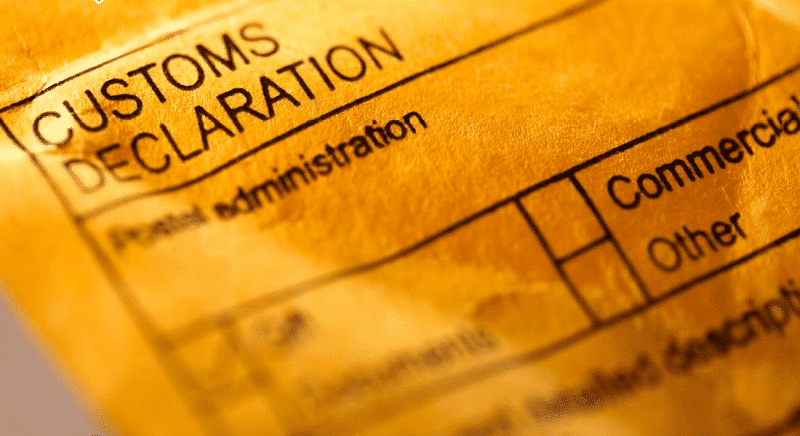 Compliance with export regulations decreases the risk that individuals will use the mail to carry out acts that violate federal law or are not in the best interests of the U.S. or its citizens. 1. Reestablish centralized ownership and oversight of the Export Controls Program to make decisions for the program. Developing an overall strategic plan and a written risk assessment process. Conducting regular cost-benefit analyses to assess the program’s effectiveness and value. Proactively monitoring emerging issues and analyzing export compliance data collected from electronic and physical screenings. 3. Revise the Export Compliance System to ensure mailpieces sent [redacted] are properly screened. 4. Develop and implement policies and procedures to screen mailpiece content for mailpieces sent to all countries. Documenting reasons for passing mailpieces. Using acronyms in screening comments. This entry was posted in General Union Business and tagged Export Controls, foreign countries, international mailpieces, International Service Centers, ISC, Outbound Mail, USPS OIG Audit Report. Bookmark the permalink.